Under the Missouri 2021 banner, the State Historical Society of Missouri is committed to coordinating a truly statewide celebration that incorporates both rural and urban communities in projects, programs, and events that contribute to a better shared understanding of the State’s geographic and cultural diversity as well as the similarities that bring us together as Missourians. In 2018, SHSMO is excited to offer these statewide projects. The new Missouri license plate will be available starting on January 1, 2019. 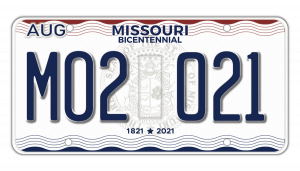 All Missourians can celebrate 200 years of statehood with a new automobile license plate that will be out in time for the Show-Me State’s bicentennial in 2021. House Bill 2380 established an Advisory Committee in 2016 to develop and approve a new motor vehicle license plate design commemorating the bicentennial of Missouri. The committee held public meetings last year in St. Louis, Kansas City, Springfield, and Poplar Bluff to gather input on the design. The new plate design, selected on January 24, 2017, will be issued to drivers beginning in 2019. More information about the process for selecting Missouri’s next license plate can be found on the Department of Revenue's website. National History Day in Missouri, a youth outreach program of the State Historical Society of Missouri, gives students a unique opportunity to explore the past and ignite a passion for learning. 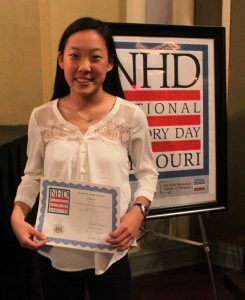 The Show-Me Prize was created in 2014 to promote engagement with Missouri history by National History Day in Missouri participants and elevate awareness of the approaching Missouri Bicentennial. Each year, the State Historical Society of Missouri will issue up to five prizes of $50 each to the best individual senior division entries in the state competition. The projects must demonstrate a significant development in Missouri history and / or how a Missourian contributed to significant events in national or international history. Learn more about National History Day in Missouri.